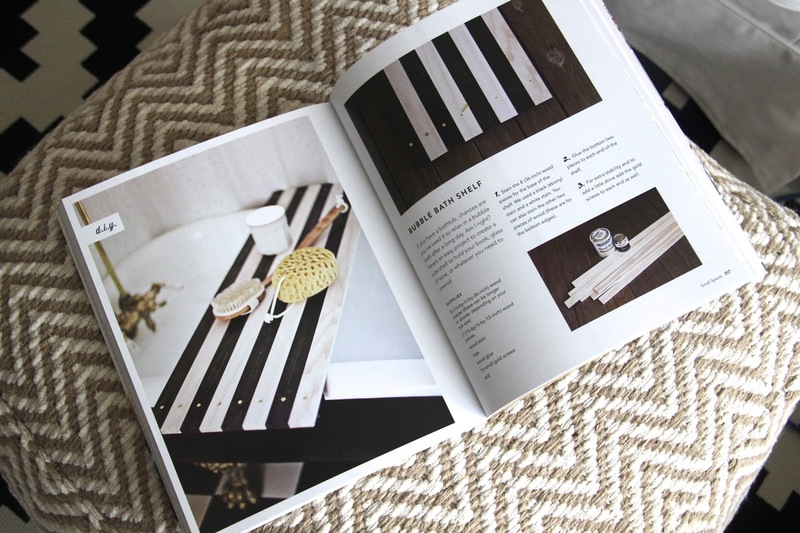 Book Review: "A Beautiful Mess Happy Handmade Home"
I'm a DIY junky, loving to come up with my own unique projects and also finding inspirations from other DIYers and their crafts. Pinterest and blogs have done so much for my DIY life. But, one place I forgot to look for some crafting expertise was a book. I don't know how that escaped me. So I changed all that up and found the perfect book to inspire my next DIY projects. A Beautiful Mess Happy Handmade Home was delightful. Welcoming from the start, this book was like a special invitation into the homes of these two blogging sisters, Elsie and Emma. Each page is beautifully laid out, colorful, and clean. Not to mention there is an eclectic style that emanates throughout. Just look at the cover, doesn't it make you want sit on the couch and chat with them?! I loved that the DIY projects these two sisters share are reasonable for a first time DIYer or someone who has been crafting for years. Their ideas are fresh and invigorating, giving you the chance to freshen up any space with step-by-step instructions. They walk you through the project and display the final product and how it can best be used within the photos. Not only do they offer design ideas, but recipes that fit appropriately amongst the space being decorated. Because isn't it true that when you are putting a space together you are thinking of the collective whole and how it will all look together? The same goes for a space you are sprucing up for a party or get together. Elsie and Emma easily transition from DIY project to original recipe, each complimenting the other. Outside of the book's aesthetics and fierce DIYs, my favorite aspect is the organization. This book is so well put together, separating the projects by spaces (dining room, studio, playrooms, bedrooms, etc. ), which makes navigating the pages a breeze. If you know the room you are looking to spruce up with a craft, you will easily be able to find the content you are searching for. And by dividing the projects by household spaces, the duo also gives new perspective on room design and how to make a DIY work in a novel space. A Beautiful Mess Happy Handmade Home, will not only spark your imagination, but give you the best advice on how to turn your space into a one of a kind. Did I mention that this book is also beautiful enough to be a coffee table centerpiece?? Seriously, look at those colors on the cover. There are so many new projects and recipes that I want to try my hand at. I can't wait to find a little down time to make some of the pages come to life in my own home! **I received this book from the Blogging for Books program in exchange for this review. All opinions are my own.